I always thank the shapers who were better than myself and all who loaned me a portion of the wisdom and skills they too had gathered over the years. Had I not stumbled into Tinker and been fortunate enough to apprentice with him, I feel I would have been an average shaper at the best. The skills that others possess do not overnight become embedded and magically become available the next time one goes into the shaping room. 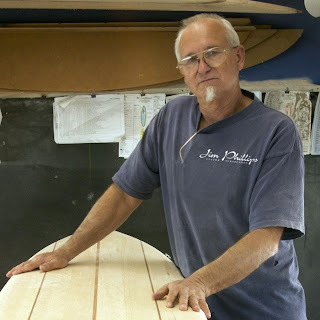 Shaping is not cabinet making, where all lines are plumb and true, running 90 degrees to each other, rather a mix of sculpture, tool use and in the end, applying surfing knowledge to extract from a pliable, curved surface, a smooth, flowing, surfcraft. Do this several thousand times and then something starts to click, a routine is set and finally consistant surfboards that work become what you have been striving for.